An innocuous industrial site belonging to Westinghouse Electric Co. sits off a rural stretch of South Carolina Highway 48, surrounded by a thick forest about 10 miles outside the state’s capital of Columbia. For years, locals believed employees here worked solely on uranium fuel used in civilian nuclear power generation. But somewhere inside the 2-million-square foot complex, a small team of specialists, working on a federal contract for more than a decade, have quietly been assembling special stainless steel rods that are essential in the production of tritium, a radioactive isotope used in the trigger mechanisms for nuclear bombs and missiles. 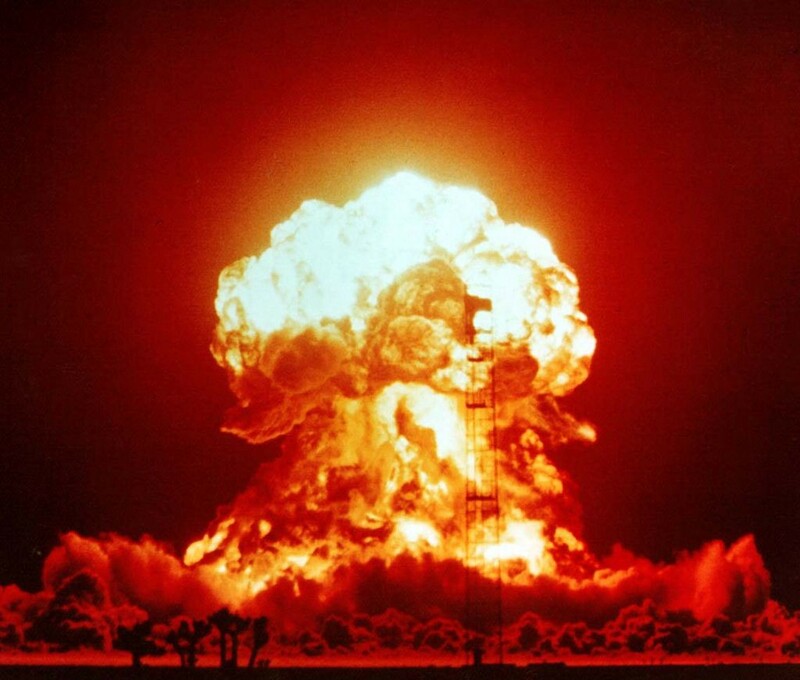 It’s the amount of tritium that’s released in the explosion of a nuclear weapon that determines the intensity of its devastating blast. The activities at the Columbia plant, illuminated here in depth after years of obscurity, offer a rare peek into the widespread and largely unknown civilian participation in America’s nuclear weapons complex — a scattered and privatized industry that defies efforts to reduce nuclear stockpiles, and arguably undermines official U.S. policy and the key treaty aimed at preventing a runaway global atomic arms race. “Such assembly has resulted in the de facto conversion of the Westinghouse fuel plant into a nuclear bomb facility,” argues Friends of the Earth, an environmental group that closely tracks the nuclear industry. The site doesn’t produce tritium itself; that happens at a different civilian nuclear power facility in Tennessee. Here, a Westinghouse subsidiary called WesDyne makes the rods essential to it. It’s a first stop in the little-known production chain that winds around the Southeast and helps tritium end up in some capacity in perhaps all U.S. nuclear weapons. Without these rods, created exclusively by WesDyne, the U.S. nuclear arsenal could not function normally. Yet disclosures of the work at the facility, which would be required by law and international treaty for almost any other material created at a civilian atomic facility for use in nuclear weapons, have been spotty at best — and in at least one case were omitted entirely from a key report on the U.S. nuclear weapons stockpile sent annually to international observers. With help from Free Times, a local weekly newspaper based in Columbia, War is Boring confirmed the nuclear weapons activity at WesDyne after receiving a tip from a well-connected observer of the atomic industry and following it up with persistent phone calls and emails and cross-referencing our own findings with obscure government reports. WesDyne makes no mention of its tritium-rod building business on its Website or in company marketing materials. When we asked about the program at the plant, Westinghouse and government officials contacted for this article offered different characterizations. A Westinghouse spokesperson said it was a classified program with the Department of Energy. The DOE said while there are parts of the program the agency can’t discuss, the work being done there isn’t classified. Even so, officials have more than once failed to include any reference to WesDyne in key reports on the U.S. nuclear industry. In at least one case, DOE officials chose to omit the Columbia plant activities from the classified nuclear arms report the agency delivers annually to the United Nations’ nuclear watchdog. The Obama administration’s secret 2009 disclosure to the International Atomic Energy Agency, accidentally released to the public two years ago, does not mention the key link in the tritium production chain located at the facility in Columbia. 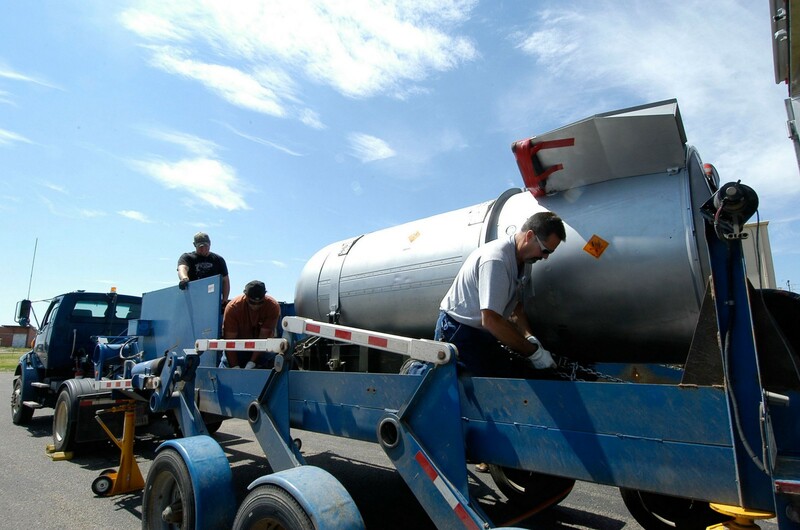 The U.S. National Nuclear Security Administration’s 2014 Stockpile Stewardship and Management Plan, published last month, identifies some 75 sites in the nuclear weapons supply chain in all but about a dozen states across the country — but does not mention the tritium bar fabrication being done by WesDyne in South Carolina. Asked why, a DOE employee speaking for the agency pointed to a 15-year-old federal report concluding that the rod fabrication does not qualify as a special nuclear material and therefore certain disclosures about it aren’t required. If a handful of disclosures have leaked out about WesDyne from time to time over the years, knowledge about the operation hardly traveled far. 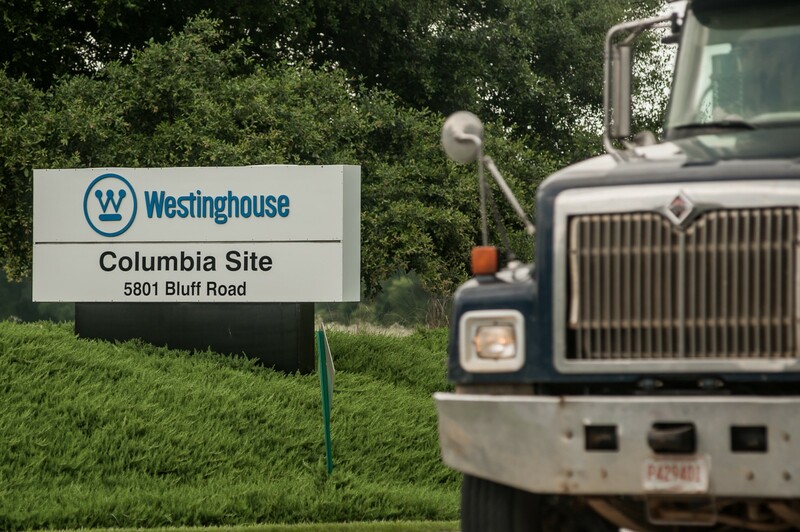 A former Westinghouse employee at the Columbia facility, speaking on condition of anonymity, said he had never heard that atomic weapons-related activities were taking place on the same property where he worked on commercial nuclear power five days a week. Tom Clements, the Columbia-based southeastern nuclear campaign coordinator for Friends of the Earth, an environmental group with offices in California and Washington, D.C., says the general public in the surrounding area is almost totally unaware that assembly of vital hardware for the production of atomic weaponry is being done at the Westinghouse site. “Nobody knows about it,” he says. For nearly 60 years, the U.S. has officially espoused a so-called “no-dual-use” policy, meant to separate civilian and military nuclear production and thus shield peaceful uses of atomic energy from the apocalyptic politics of potentially world-destroying nuclear weaponry. The policy has its roots in the 1954 federal Atomic Energy Act. The Nuclear Non-Proliferation Treaty of 1968 doubled down, stating that countries should not develop commercial applications of nuclear energy for nuclear weapons purposes. The treaty is routinely cited by the U.S. to prevent countries like Iran and North Korea from developing nukes. In 1998, a Defense Authorization Act conference report directed the DOE to review the production of tritium and its relationship between civilian and military nuclear facilities. The review concluded that it is not prohibited by law or international treaty, and that there have historically been exceptions to differentiating between U.S. civil and military facilities, according to the DOE. After the WesDyne contract was drawn up, the DOE and NNSA took the position that nothing the facility was doing in Columbia needed to be declared unless the toxic lithium the rods contain became a safety concern — something that fortunately has not occurred. It’s unclear how many other commercial nuclear operations in the U.S. also produce components or hardware used in the production of atomic weaponry, largely because information about the production chain is scattered in obscure reports; as with WesDyne, you’d have to know what you were looking for and where to look. 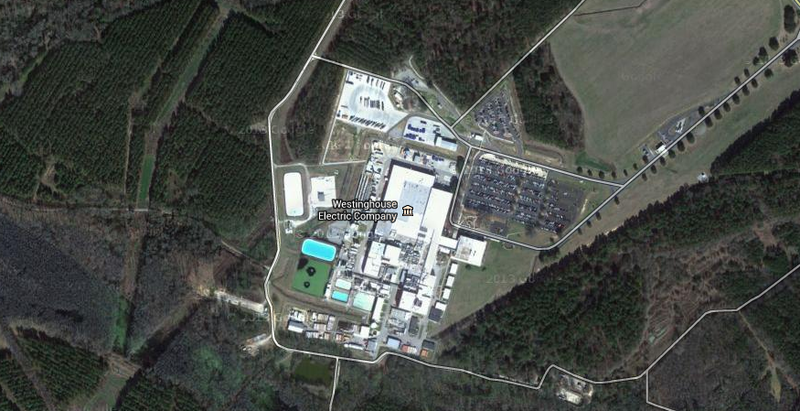 Although it’s hard to track down potential violations, nuke watchdogs agree that it’s unlikely the South Carolina complex is alone in quietly engaging in the production of nukes. Largely outside the awareness of the general public, the privatized U.S. atomic weapons industry spreads its tendrils deep into some surprising places. It’s a creature that appears to be thriving despite rhetoric in Washington about reducing the country’s nuclear stockpile. The number of nuclear warheads in the U.S. arsenal has dropped in the past few decades, according to a 2013 report by the Bulletin of Atomic Scientists. But America’s total stockpile still includes approximately 4,650 warheads, of which an estimated 2,150 are deployed. Number-two nuclear power Russia possesses around 3,500 active warheads — and both countries have many hundreds of inactive atomic munitions awaiting dismantling. All of the active American weapons could contain elements made from a process that has roots in Columbia. A team of three workers tinkering away in a small corner of the big Westinghouse facility quietly builds the special stainless steel rods called tritium-producing burnable absorber rods, or TPBARs, which contain lithium. After processing at the separate facility in Tennessee, the TPBARs help produce the tritium, which is a radioactive form of hydrogen. “WesDyne is the only manufacturer of TPBARs, which they have done since 1999,” a DOE spokesman says. After they’re fabricated in Columbia, the rods are shipped to the Watts Bar nuclear power facility in Tennessee, where the material in the rods is converted into the tritium gas. The design parameters of the rods are classified, according to a spokesman at the Tennessee facility. Once inserted into a reactor core during refueling, the TPBARs are irradiated for at least a year and a half, according to the GAO report. 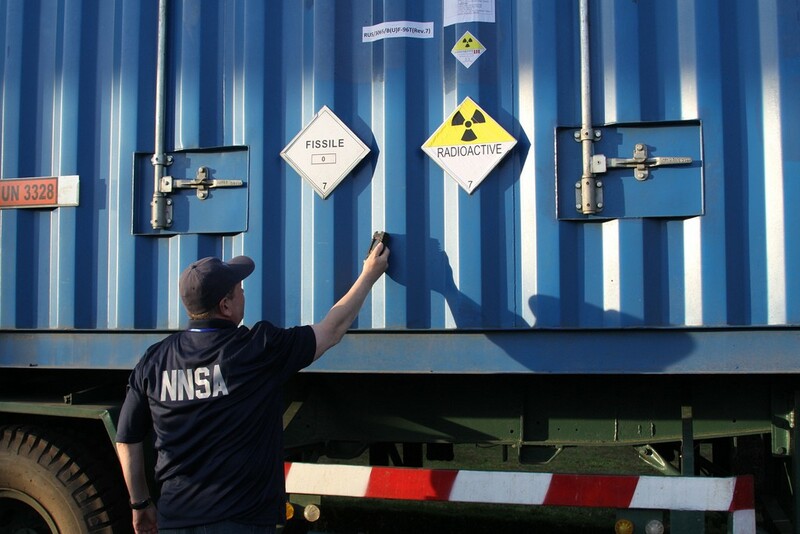 After that, the tritium leaves Tennessee for a trip back east to the Savannah River Site nuclear facility on the Georgia-South Carolina border. There the tritium is extracted, packaged and then shipped to the Defense Department where it’s loaded into the thousands of bombs, ICBMs and cruise missiles that make up America’s vast nuclear stockpile — an apocalyptic arsenal that at every step along the way is produced almost entirely by private, and publicity-shy, corporate entities. A privatized U.S. atomic weapons production chain could defy attempts by some politicians and activists to dismantle the world’s nuclear arsenals. Even Pres. Barack Obama has signaled that he wants to shrink the number of U.S. nukes. “I’ve determined that we can ensure the security of America and our allies, and maintain a strong and credible strategic deterrent, while reducing our deployed strategic nuclear weapons by up to one-third,” Obama said in Berlin in June. But the president could be in for a reality check. After all, maintaining the nation’s nuclear weapons stockpile is big, big business, with mega-corporations performing the atomic maintenance on contract with the feds. “We have an almost fully privatized nuclear weapons business in the United States,” says the Los Alamos Study Group’s Mello. Such privatization gives the nuclear industry political clout it would lack if it were fully government-controlled. The owners, managers and employees of contractor-operated nuke sites can contribute to congressional campaigns, utilize political action committees and lobby Congress. And they do. In the 2012 election cycle, the 14 biggest atomic weapons contractors gave a total of $2.9 million to members of Congress with decision-making power over nuclear spending, according to a Center for International Policy report. All told, the firms had donated $18.7 million to those same members of Congress over the course of their careers. Recently, members of North Dakota’s congressional delegation went on record saying they oppose cuts to the nuclear arsenal. “They say the U.S. needs a strong nuclear deterrent, especially when countries such as North Korea and Iran are working on nuclear arsenals,” the Associated Press reported. Not coincidentally, many of the United States’ nuclear missiles are in underground silos in North Dakota. “Now is not to the time to pursue further strategic nuclear force reductions,” U.S. Sen. Jim Inhofe, an Oklahoma Republican and ranking member of the Senate Armed Services Committee, said in a statement, adding that efforts to slow Iran’s and North Korea’s nuclear ambitions are “failing.” Inhofe collected $34,000 in donations from the nuclear arms industry in 2012, against a career total of $285,000 from the industry, according to CIP’s tally. South Carolina’s own Sen. Lindsey Graham, a Republican and member of the Armed Services Committee, has vowed to do “everything in [his] power to keep the next generation of nuclear power on track” and has supported the building of new reactors. Graham has also received donations totaling nearly $435,000 from the atomic weapons industry, including $44,000 in 2012, CIP reported. The influence of nuclear-arms contractors might be seen in current efforts to ramp up production of nuclear weapons material. Even as the president declares he wants to draw down nuclear weapons, the National Nuclear Security Administration says in its 2014 stockpile management plan that it wants to increase production of tritium, according to The Augusta Chronicle in Georgia. Meanwhile, the NNSA is planning an environmental impact statement on expanding tritium production into two more nuclear reactors in Tennessee, Clements says. The NNSA has increased its 2014 budget request for the production and maintenance of weapons activities to nearly $8 billion, which is a 7.6-percent jump compared to the 2013 budget and the fourth consecutive annual boost, The Augusta Chronicle pointed out. And the growth could continue. A June 20 version of a U.S. House Energy and Water appropriations bill called for an assessment of the national security demand for tritium through the year 2060. The feds’ tritium program currently employs 450 workers at the Savannah River Site, plus at least three in Columbia, among others. The Savannah River Site is already planning new facilities to accommodate the extra effort as the tritium production effort ramps up. Tritium has a half-life of 12.5 years, meaning it decays rapidly, as opposed to uranium or plutonium, which can take thousands of years. That means it must be replenished in nuclear weapons at a fairly fast rate. But not replacing the radioactive gas is an option. Decades ago there was a nuclear arms reduction movement based on just letting the tritium decay and not juicing it back up. The movement’s goal never came to fruition, but suspending tritium production remains a viable way of gradually cutting the nuclear arsenal — if the U.S. and other nuclear weapons states wanted to do it. Just don’t count on it actually happening. “The president remains committed to a safe, secure and reliable nuclear deterrent,” the NNSA states on its Website. And as for the president’s speech in Berlin calling for a reduction in nuclear arms? It will have “no immediate impact” on the agency’s sites, an NNSA spokesman says. Back in Columbia, Clements of the state Friends of the Earth chapter says he doubts America will ever willingly eliminate its nuclear arms holdings as required by the nuclear nonproliferation treaty. The industry is too powerful and too deeply — and sometimes secretly — embedded in American communities to allow for meaningful nuke reductions anytime soon. Despite efforts to conceal it, a small part of that machine can be seen in action off a lonely South Carolina highway, where regardless of criticism about policy and treaty, America’s atomic practitioners are as busy as ever revitalizing the world’s biggest active nuclear arsenal. With additional reporting by David Axe. Subscribe to War is Boring: medium.com/feed/war-is-boring. Thanks to David Axe and Evan Hansen.